This Week in Film rounds up noteworthy new releases in theatres, as well as key DVD / Blu-Ray releases, festivals, and other cinema-related events happening in Toronto. So it's a bit of a slow week in the first-runs, but this should at the very least be of interest to those who've been trekking out to all of the Late Night: Bangkok Dangerous series at the TIFF Bell Lightbox (in fact, the release of this movie is likely that retrospective's raison d'Ãªtre; they've coordinated quite nicely, eh?). As for the film, chances are that if you saw the first one, you've practically already seen this one and are just coming back for the cult, up-is-down appeal. Sure, it's based on the somewhat beloved Marvel character, but who is this franchise kidding? These movies are about flames — large, billowing blankets of fire. And skulls. And Nicolas Cage revving a motorcycle engine over and over again. The premise is gripping enough, promising a dramatization of the apparently little-known WWII phenomenon in which Polish Jews hid in the underground sewer systems of major cities to escape deportation and death camps. Director Agnieszka Holland is also kind of a little-known big deal; she's been active making films since the late 70s, and even has a FIPRESCI prize from the 1980 Cannes Film Festival under her belt. This is no doubt an intensely personal project for Holland, what with her grandparents having been killed in a ghetto, and is also notable for being one of the top five nominees for this year's Best Foreign Language Film Oscar. For recommendations on what to catch at Toronto's rep cinema's this week, check out This Week in Rep Cinema. Toronto filmmaker Barbara Sternberg has been making films since the mid-70sthe , combining "reflections on the medium itself with social issues and universal questions of how we experience reality, how we as humans are situated in the world. 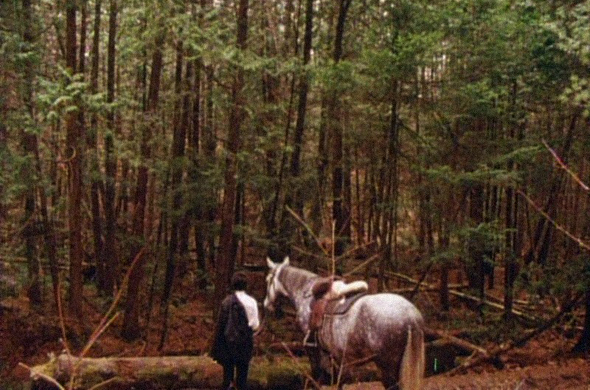 Organized around a central image of the forest as a transitional space, the film continues her exploration of dialectics: the human and the natural world, young and old, living and dying." This world premiere event for her film marks the occasion of both Sternberg and David Rimmer receiving the 2011 Governor General's Award in Visual and Media Arts. After the feature, there will be a screening of some short, earlier works by both filmmakers. This is a free event, and takes place at AGO's Jackman Hall. Both filmmakers will be present. The title of this edition of Early Monthly Segments, "Razor's Edge," has an appropriately iconoclastic tone for this unique pairing of two major avant-garde figures: 'Aktionist' Kurt Kren and lesbian Barbara Hammer. 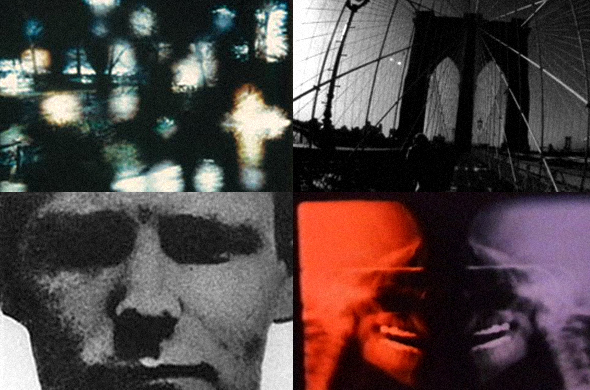 Comparably engaged with issues and concerns relating to politics of the body — albeit in very, very different ways — the program will offer up eight films throughout the evening, drawing necessary distinctions and similarities not only between and amongst each others' practices, but also betweent the zeitgeist in which they were made and today's climate. Early Monthly Segments takes place at the Gladstone Hotel Art Bar, and others a convivial, loungey, beer-drinking atmosphere in which to watch some of the most canonical works of the avant-garde; entry is granted upon payment of $5 entry fee. The 9th annual Reel Artists Film Festival kicks off next Wednesday for the second consecutive year at TIFF Bell Lightbox. Organized by the Canadian Art Foundation, the five-day festival consists of 12 features and two programmes of short films, all documentaries focusing on the biggest names in the art world. The hot ticket will almost certainly be the Opening Night film, Marina AbramoviÄ‡: The Artist Is Present, which is fortunately screening a second time on the last day of the festival for those of us that can't drop $195 on the gala event. The film was a huge splash at Sundance last January, and has as its subject one of the most important performance art works in history. Other artists featured in the festival are Mark Lewis, Thomas Ruff, Tacita Dean, Rachel Whiteread, and Gerhard Richter; a blockbuster year for sure! Regular tickets are $12, with senior and student tickets discounted to $8. Buy online at the festivals website linked above.